As I’ve explored before, two of the ways to improve your marketing is to hire a marketer or use freelancers. However, before you do this, make sure you avoid these common mistakes a lot of SMEs make when recruiting marketers. 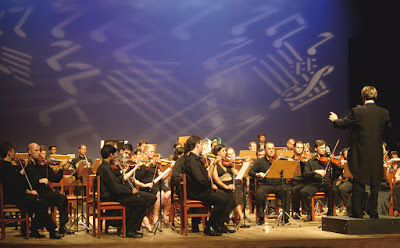 If you needed a conductor for your orchestra, would you hire a flute player and expect them to also step up to the job and organise, lead and plan the orchestra too? Unlikely. But this is what happens time and time again with marketers. Organisations think that they need a marketing “doer” (ie tactician) when actually they need a marketing “planner” (ie strategist). How do you know which you need? If you have a clear Marketing Strategy (what you are selling, who to and how) and someone in place to lead and direct your marketing activities but no-one to do the “doing”, you need a Tactical Marketer. If you have no plan in place, or a sketchy one, you need, at first, a Strategic Marketer or someone with strategic marketing experience. Again, you need to understand what your organisation needs. Does your marketing strategy (with detailed customer segmentation) show that you need a strong exhibition presence? Then hire a marketer with that experience. Or do you need to use a range of marketing tools eg on-line, off-line, social, digital, PR, events. Then you need a general marketing manager, who has a good working knowledge of all the necessary aspects and can either use them to the level required or hire in freelancers / agencies for different aspects and manage them. It undoubtedly helps to have a team member who already knows your sector, has contacts in it, and who understands your products and services but…is it vital? A good marketer should be able to take their marketing knowledge (about how to plan, structure and execute marketing) and apply it to any sector or industry. This is especially true if you need someone to be a general Marketing Manager or a Strategic Marketing Manager; they can then hire in specialists in your sector eg specialist PR firms. I’ve probably hit on a nerve here but I see this too often, from both sides. I see Directors and Business Owners get frustrated that the new marketing person, “isn’t generating results quickly” etc. but I see Marketing Managers get demotivated because they are reporting to people who think marketing is “quick, easy and all about producing pretty brochures”. Who will your marketer be reporting to? What is their understanding of marketing? If they are self-taught then they might want to consider up-skilling themselves using something like the Watertight Marketing Masterplan. This 12 month programme will give them the tools to have a core understanding of how marketing supports real, and repeatable sales results. Again, this is a touchy subject, but there are lots of people out there with the word “marketing” in their job title who have little understanding of what marketing really is. Sometimes they are sales people, or people who have done really well at pulling together elements of marketing and achieved results. At worst, they are folk who have done a small element of promotional marketing, ie knocked up a great leaflet, and think that’s marketing. If this is what your organisation needs, that is absolutely fine. But make sure you know what you are hiring. It’s like thinking you’ve recruited a percussionist for your orchestra when actually, you’ve got someone who’s played drums at a few pub gigs…they could be good but not quite what you were after. Need more help to avoid these mistakes? Then consider bringing in a Marketing Consultant, who can help you figure out what type of marketer your organisation needs and how to write their job description. It could save your company a lot of time and money instead of recruiting the wrong person. 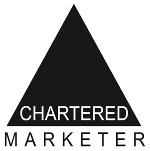 Email Kara if you want help finding the right marketer for your organisation.